Kiss the Bride anthology - I really got this for the Laura Florand story which is the first in the series that continue with The Chocolate Thief and The Chocolate Kiss which I reviewed recently. 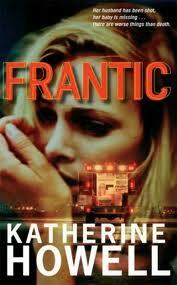 Frantic by Katherine Howell - I got an unexpected book package the other day which included the sixth book in this series. I really don't like reading a series out of order so this is the first book in the Ella Marconi series. Light Between Oceans by M L Stedman - I feel as though I am really late to the party with this book but I still want to read it! The Perfect Hope by Nora Roberts - The third book in the Inn Boonsboro trilogy. Not my favourite Nora Roberts trilogy but still readable. 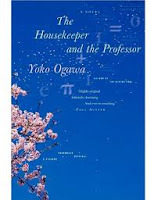 The Housekeeper and the Professor by Yoko Ogawa - Not too long ago I read Hotel and so now it is time to explore one of the other books by this Japanese author. 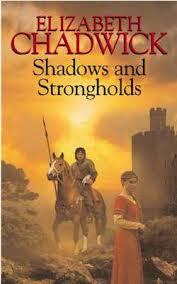 Shadows and Strongholds by Elizabeth Chadwick - This is the last of Elizabeth Chadwick's book that I haven't yet read! What will I do once I read it? Actually, there is one other but it is a novelisation of a movie so I am not sure I will bother reading it. We will see anyway. Shadows and Strongholds is really good, it was my first Chadwick and got my hooked. I think you're referring to First Knight? I had a look for it a while ago but it seems hard to find a copy. Enjoy your books! I really enjoyed The Light Between the Oceans. I hope you do too. Happy reading! I love "The Housekeeper and the Professor"! I love your wide variety of books you got from the library this week! The Light Between the Oceans is good. It has been so long since I read anything by Elizabeth Chadwick. I really must get back to her books, since I used to love them. Enjoy your loot! I love the cover of The Housekeeper and the Professor. Enjoy your loot. The Housekeeper and the Professor was an excellent read, and I also got The Light Between Oceans on audio. I can't wait to hear what you think about them both! I haven't got to The Light Between Oceans yet either. Enjoy your loot! Great haul you've got here. I'm looking forward to reading Perfect Hope by Nora Roberts. The Housekeeper and the Professor is a very good read. The Perfect Hope looks a great read. Happy reading!